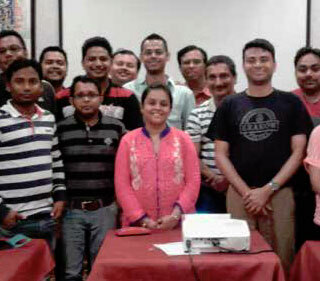 PMI India Champion Jaydeep Chakraborty, PMP, conducted a four-day Project Management Professional (PMP)® exam preparation workshop in February for 11 participants from different organizations in Kolkata. 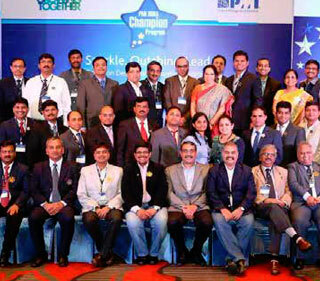 This training program was held in association with PMI West Bengal Chapter. Mr. Chakraborty was the core faculty for the sessions in which he covered the Knowledge Areas of PMI's A Guide to Project Management Body of Knowledge (PMBOK® Guide). He also explained the changes in the PMBOK® Guide and spoke on the areas that the participants need to focus on in view of the eight new tasks being introduced. On 11 February, PMI India associate member, Champion Advisory Council, Vinay Kumar Agarwal, PMP, addressed a PMP preparatory training group at Ericsson, Noida. The training was conducted by an external Registered Education Practitioner and attended by 18 PMP aspirants. 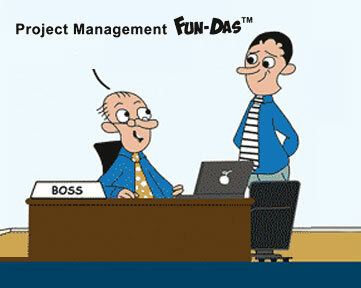 He took this opportunity to talk to the group and shared his vast experience and tips to earn the PMP certification. 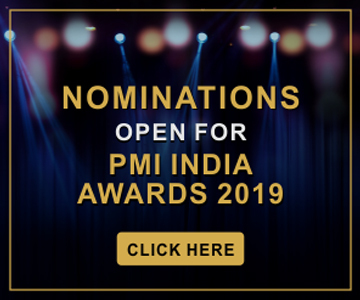 He started the session by sharing facts and figures on current global and India PMI certification counts, membership, and notable companies with a large number of members. 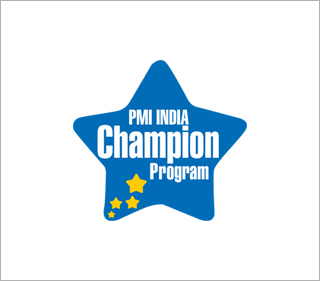 In February, PMI India Champions Ajay Kumar, PMP; Mohit Jain, PMP; and Ramesh M., PMP started a PMP preparatory training group at Polaris, Gurgaon. The training was attended by 17 PMP aspirants. The champions spoke to the group areas to focus on, and tips on all the Knowledge Areas and processes to complete the PMP certification. The sessions will continue till March 2016. On 30 January, PMI India Champion Vipin Shrotriya conducted a day-long seminar at a symposium organized jointly by PMI Pune-Deccan India Chapter and the Symbiosis Centre for Management and Human Resource Development (SCMHRD), Pune. Over 100 students and senior delegates attended the session by Mr. Shrotriya on "Customer Centric Perspective on Building Smart Cities." On 18-20 January, PMI India Champion Koti Reddy Bhavanam, PMP, conducted an exam preparation workshop for the PMI Agile Certified Practitioner (PMI-ACP)®. A total of 58 PMI-ACP aspirants took part in the three-day workshop at the United Health Group office in Hyderabad. On 28 January, PMI India Champion Kalyan Sathyavada, PMP, organized a session on the "Introduction to PMI and Certified Association in Project Management (CAPM)®" at the National Institute of Construction Management and Research, Hyderabad. Over 50 students attended the session. On 25 February, PMI India Champion Preethi Raja, PMP, conducted an awareness session on project management and PMI's CAPM® certification at Reva University in Bangalore for students pursuing engineering and master's in computer applications. Over 200 students took part in this pilot session.There are plans to conduct similar sessions in other engineering streams as well. 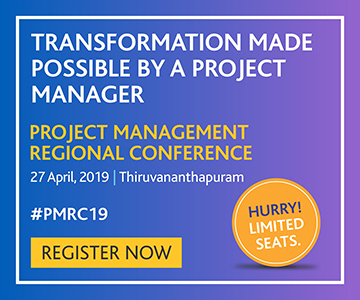 In February, PMI India Champion Rajakumar Kavedy Ramakrishnan, PMP, contributed an article on "Challenges with DevOps Projects," which was published on the portal, ProjectManagement.com. Below is a summary of his article: "DevOps is a buzz word used in the IT industry. Many organizations have started adopting DevOps for their projects. When the business environment demands quicker turnaround time for business needs, approaches like DevOps help organizations meet them. In this article, Mr. Ramakrishnan has discussed DevOps and challenges that need to be handled by project managers when they adopt them in their projects. He has discussed challenges like the fear of job loss by team members, an increased number of stakeholders in projects today and their expectations as compared with traditional projects, and how to start adopting DevOps." Click here to read the full article.